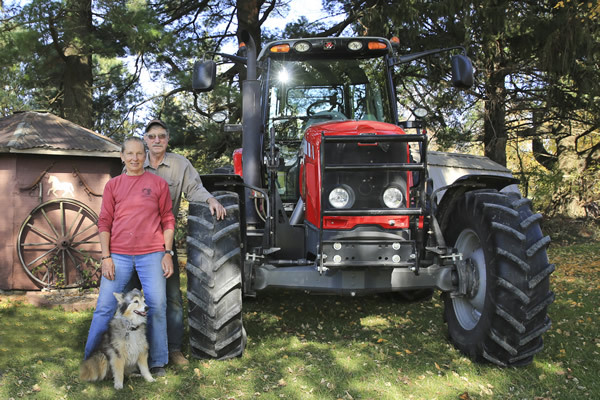 Marty and Julie Malin are natives of Southeast Minnesota’s Driftless Region. Marty grew up on a dairy farm near Winona and Julie (Kohner) is from Winona. They were High School sweethearts and always loved farm animals, horses and being out in the forests of the Driftless Region. After a brief stint in college, we married in 1970 and bought our present farm in 1972 and our first Polled Hereford cattle in the Fall of 1972. We love the rolling pastures and woodlands of Fillmore County – ideal for beef cattle. Julie worked for 27 years as a Labor and Delivery Nurse at the Mayo Medical Center in Rochester, MN., retiring in 2013. Now farming and enjoying grandchildren with Marty. 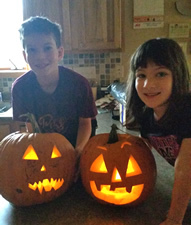 We have two grown children – Jodi, married to Rod Stormoen, and they have a son and daughter, Garrett and Elsie. Joel, married to Breanna Reynolds, and they have two daughters Alaina and Isla. 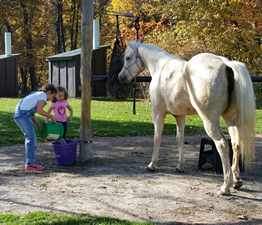 Gentle cattle are a priority for us and so are grandchildren! 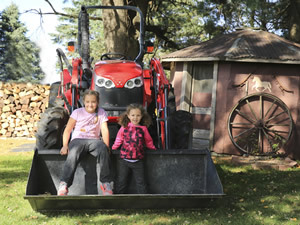 Photos with tractors taken by Dawn Hauge’s Photography. Click here to visit her website.